Chateau Langoa Barton is a Classified 3rd Growth estate in the appellation of St. Julien, situated on the Left Bank of Bordeaux. The property was first acquired in 1821 by the powerful Bordeaux negociant company Barton & Gustier, and was used to produce both the wines of that area and of nearby Chateau Leoville Barton. Chateau Langoa Barton extends over 25 hectares of vineyards, planted with 57% Cabernet Sauvignon, 34% Merlot and 9% Cabernet Franc. The vines, which have an average age of 35 years, are planted in a terroir of gravel and clay soils. They grow at a density of 9,100 plants per hectare. The vineyards can be divided into 5 major blocks, each with over 15 separate parcels of vines. Chateau Langoa Barton wines are made by traditional vinification, with alcoholic and malolactic fermentation (often combined for co-inoculation) taking place in large, 200 hectoliter wooden vats. Barton wines are then aged in French oak barrels, of which around 50% are new, for a period of around 20 months, depending on the vintage. Each year, close to 7,500 cases of the Chateau Langoa Barton Grand Vin wine is produced, along with a second wine, named Lady Langoa. 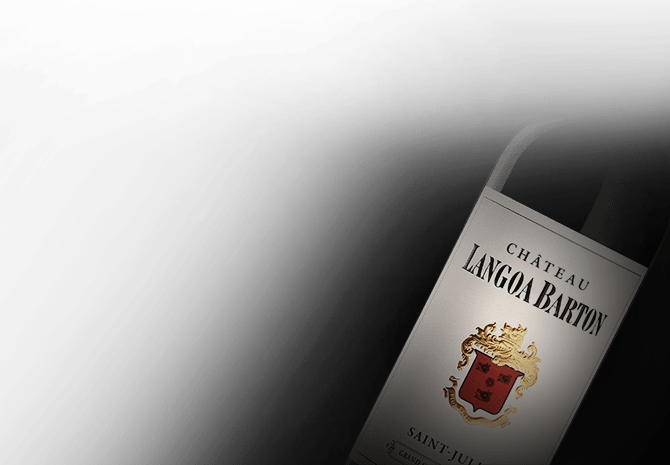 The wines of Chateau Langoa are known for their wonderful cellaring potential, reaching the peak of maturity only after 12 to 30 years of aging in the bottle. Today, Chateau Langoa Barton is managed by Anthony Barton and Lilian Barton, making this estate the only one of the 1855 Classified Growths to have remained in the hands of the same family since the time of its classification.